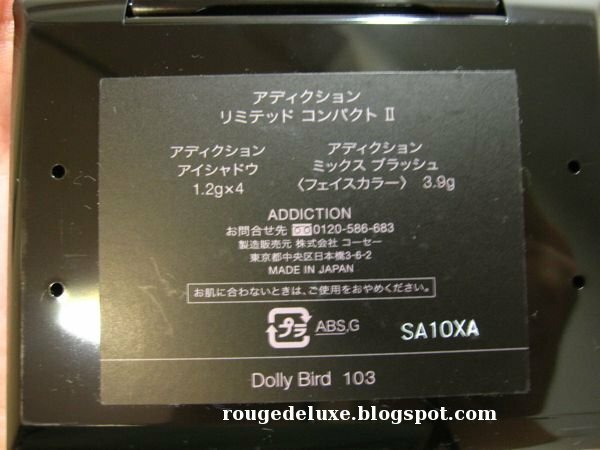 I've had my eye on Addiction for quite awhile now since the brand's debut in July last year but didn't find anything compelling enough to purchase until I saw the Limited Compact II Dolly Bird that was released for Christmas on 5 November. Inspired by the mod style of London in the swinging '60s, the palette cover has the model winking mischievously as you turn the palette ever so slightly. The special website for the holiday collection can be viewed here. The elegant slim compact is the same size and design as Addiction's Compact Case II, which fits four eyeshadows and a blush (or six eyeshadows). The holes in the back allow you to pop up the pans easily with a needle or toothpick. The palette includes 4 powder eyeshadows (1.2g each) and a three-tone Mix Blush (Face Color) (3.9g). These are the same weights as Addiction's regular eyeshadows and blushes. The Dolly Bird palette is very pricey at 8400yen (S$137) but considering that the regular eyeshadows and blushes usually retail for 2100yen and 2940yen respectively, you are basically paying for the cost of four eyeshadows and getting the blush and the compact case for "free". The empty compact case usually retails for 1575yen. 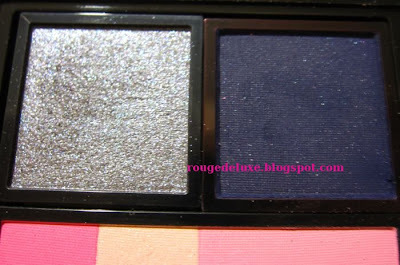 According to the pamphlet, the eyeshadows comprise three mattes and one pearl finish. The top left shade is a "vintage ash colour reminiscent of retro photographs" while the bottom left shade is a bluish grey. The top right shade is shimmery metallic steel grey and the bottom right shade is an inky blue like the writings on old letters. The ink blue shade actually has micro blue sparkles when viewed up close. One minor flaw of the palette design is that the sparkles from the metallic grey shade tend to scatter over the rest of the palette. The Mix Blush is a "pop pink". You can use the shades individually or swipe your brush over the three shades to get a sweet dolly pink shade. 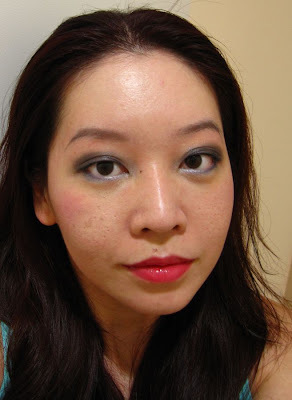 The colour payoff is also quite good and shows up on the very first sweep across the cheeks. The two pink shades are matte while the beige strip has a tiny silver sparkles. 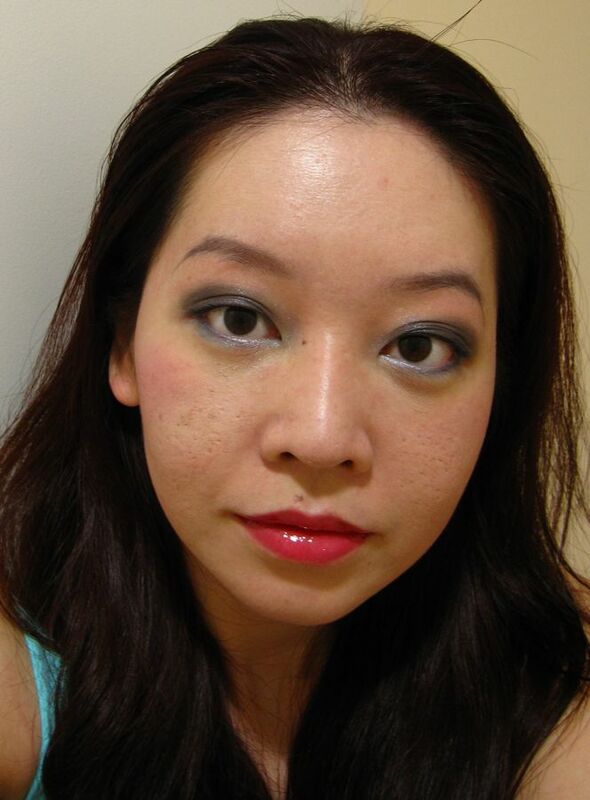 Here's the look that I did today with the palette paired with Addiction's Azalea lipgloss. 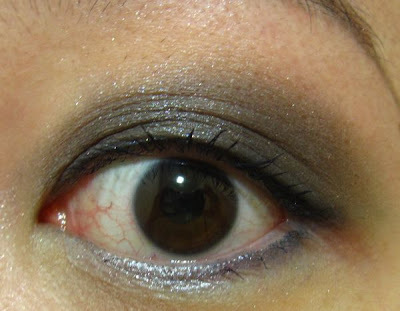 After prepping my lids with Urban Decay Primer Potion, I used the inky blue shade along the upper and lower lashline, the metallic grey over the eye socket area, the ash shade just above the outer half of the crease and the beige along the browbone area. I also used a metallic silver eyeshadow single called Screen from the regular line at the inner corners and along the lower lashline. 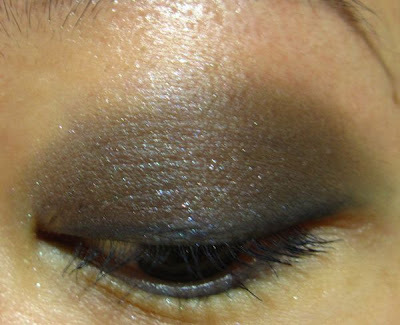 The eyeshadows were well pigmented and easy to blend. Addiction's metallic shades have a softer, more molten feeling than the matte shades, which feel more dry. 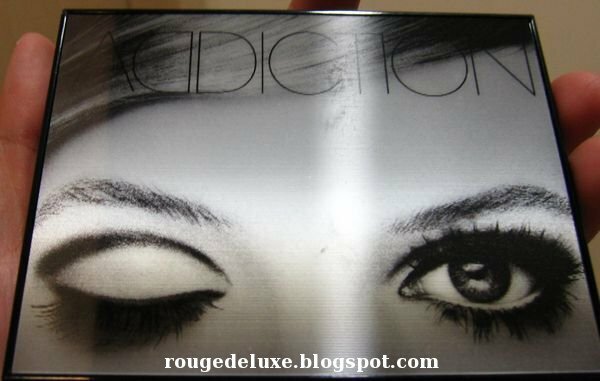 While Dolly Bird is an excellent option to consider if you are into smoky eyes, the distinct lack of a highlighter shade which makes the palette unlikely to be sufficient by itself for creating a complete eye look. 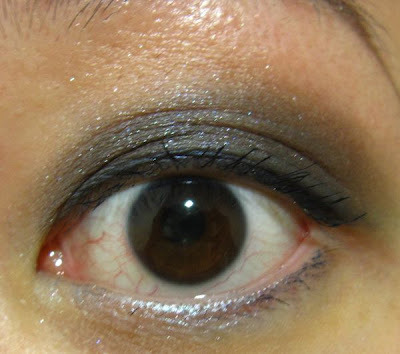 This is how the eyeshadows look right after application at 7.30am. I did not use a separate eyeliner (as I wanted to see how the Addiction eyeshadows performed along my lashline), and only applied Visee Wide Long (Curl Impact) mascara. The two pics below were taken at 9pm when I got home. Over thirteen hours of wear and virtually no creasing at the inner corner of the upper lid! That's the power of Urban Decay Primer Potion for you. I'm usually out for 10 to 12 hours on week days so for me, a good primer is an absolute necessity as I don't usually bring my eyeshadows out to touch up during the day. Along my lower lashline, there was some fading and running into the fine lines but I was especially impressed that the dark navy shade that I used to line my upper lashline had lasted quite well. 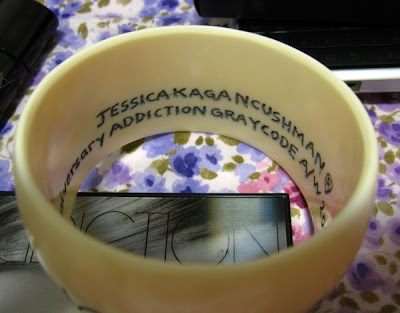 I also received this gift bangle with my purchase. This is a special collaboration item with accessories designer Jessica Kagan Cushman who is known for her accessories that have an ivory-like texture and hand-crafted etchings. 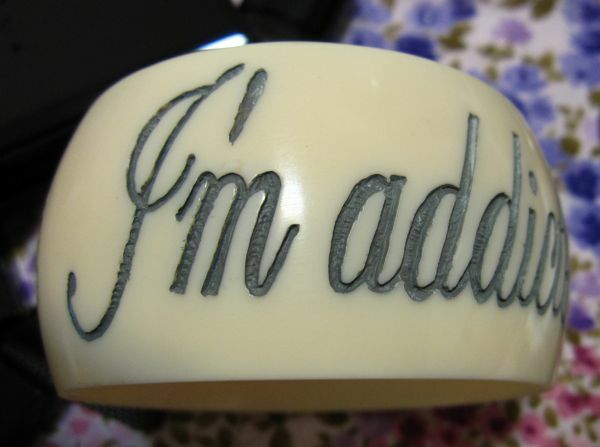 The bangle is imprinted with "I'm addicted to ADDICTION". How very apt! When the Addiction SA heard that I was helping Mag (of Makeupstash) to purchase the Dolly Bird palette, she was kind enough to offer me another bangle as my purchase was sufficient to qualify for two GWPs. I'll post the rest of my Addiction haul separately. Thanks for reading! The color scheme doesn't personally interest me, but I am glad to see something different from a Japanese brand (other than the monotone, sheer shimmers they love to make). 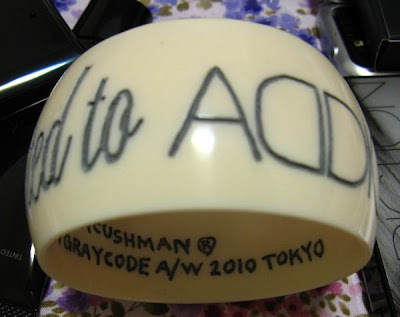 Do you have to purchase < 20,000 yen to get the bangle? Thanks. You have to purchase at least 20,000yen including the Dolly Bird Compact to get the bangle. This actually looks really good on you. I say yay to Addiction Dolly Bird Compact! lovely smokey eyes on you! 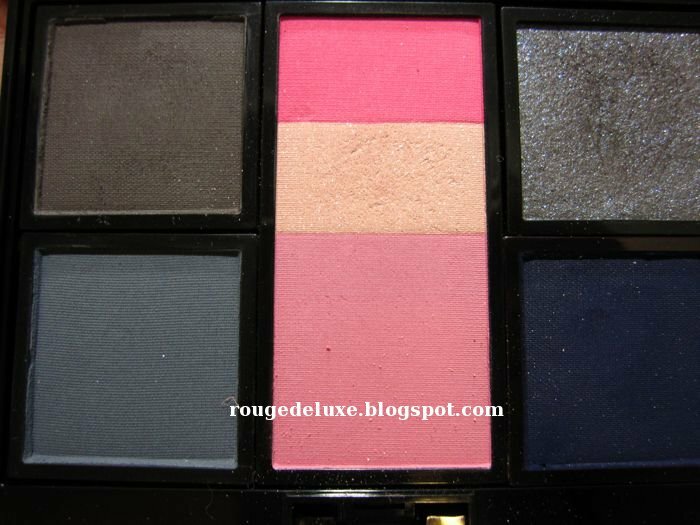 the blush in this palette particularly interests me, it's creative u use the beige highlighter in you eye look.. hopefully this palette would still be available when i reach japan in dec. another holiday collection i'm really into is by suqqu. were the suqqu palettes selling real fast? 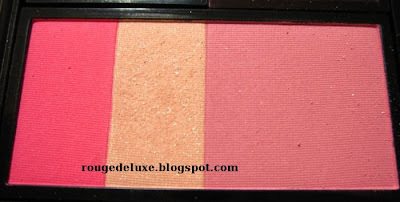 the pink-brown theme seems like your type of tea.. what do u think of the 'checked' highlighter? btw may i check with u, is suqqu available at odakyu shinjuku? tia! Oh, Iris, thanks so much for posting this up. 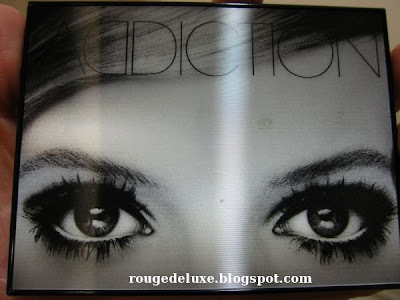 Been wanting to try Addiction for the longest time, but didn't manage to get anything the last time I was in Tokyo! 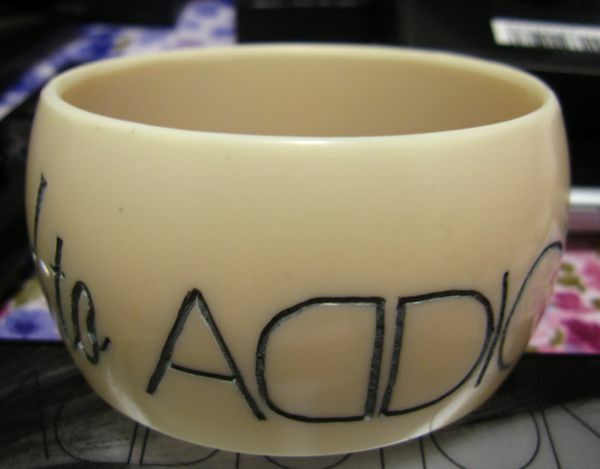 Was dithering over whether I should get a friend to haul their stuff for me when she goes to Tokyo next month. Looks like the answer now is a resounding YES! Btw, LOVE the lips. :) Did you manage to try their lipsticks? Are they the usual sheer sort or more pigmented? Lovely! It's about time Japanese comes up with something different other than the gradation eye shades which even though are nice but too predictable and boring.